DON’T FORGET TO CHECK OUT MOD3! ADDS CV/GATE INPUTS! CLICK HERE! The SYNTHBOY+ is upgradeable and modifiable. There are even custom mods you can make to it right out of the box. You might not want to modify it, but fair warning, once you open it, you can do so easily. We will keep adding and modifying to add more features that will be easily accomplished with average soldering skills. Using the tooled sockets allows you to remove the Arduino’s easily. This allows future code upgrades to be easily performed. There is also more room to add more features like CV/Gate control and other filter effects. Here is the back panel. Numerous outputs make this user friendly. Quarter inch stereo for mixers. Eighth inch stereo for computer connection and RCA jacks for DJ equipment and home stereos. Midi IN/OUT makes this easy to control by almost any midi controller or midi compatible keyboard. 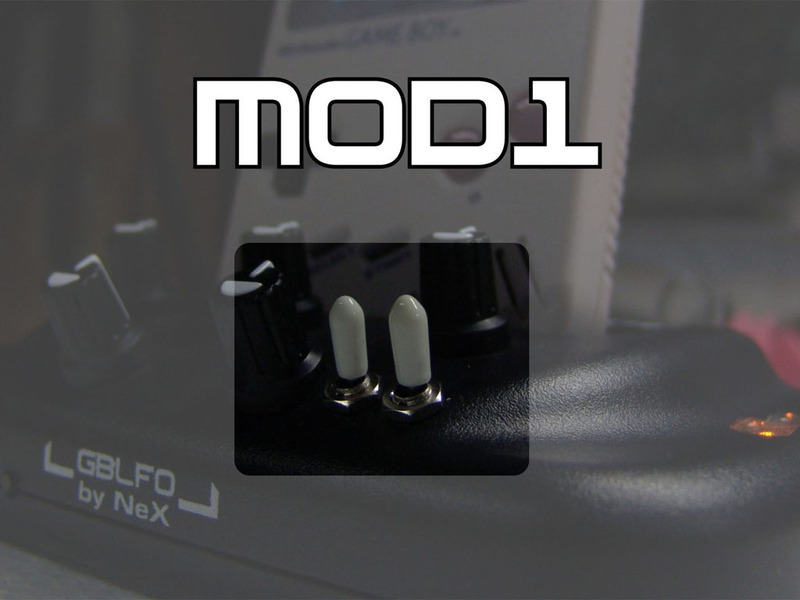 The ‘bypass’ switch allows you to cleanly switch between the original source and the direct output from the GBLFO. 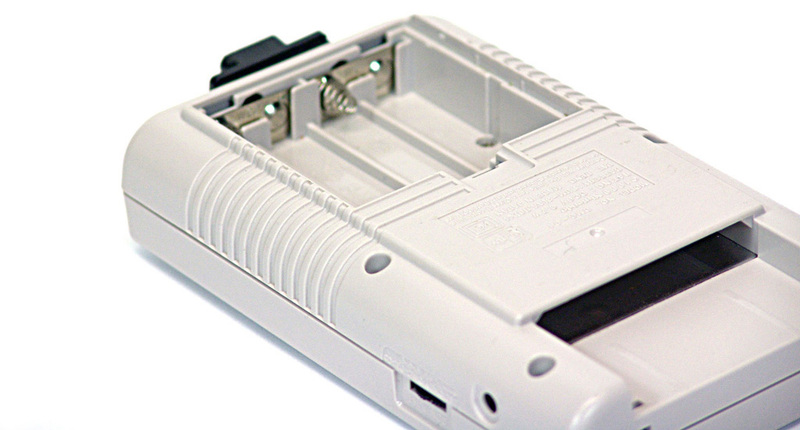 Standard 6V DC connector that goes straight through to the Gameboy which means no power is used until the Gameboy is turned on. 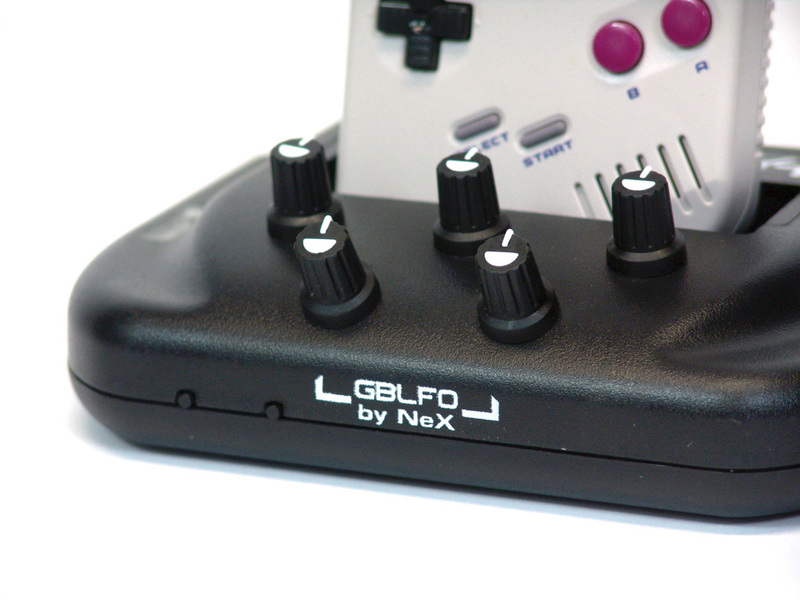 Nex’s GBLFO is an awesome feature for LSDJ artists. By sensing the sync messages sent from LSDJ, the GBLFO is able to administer precisely timed breaks in the audio giving it an oscillator feel. Several modes of severity controlled by one knob and the fine tune knob to administer the amount give this feature a very unique ability to change a rather ordinary average track into something interesting and worth listening to, in real time. He is still working on it and hopes to refine it further, so expect even more features and abilities from him in the future. The top three knobs allow feature control in mGB. These three knobs can be changed to a different midi channel on the fly by pressing the first momentary switch on the front leading left edge. By pressing the midi channel button, the LED’s on the top left will indicate what channel you are on. These knobs currently allow you to change the first three CC’s of each channel. More features are planned for even more control, but the first three were the critical ones we wanted right out of the gate. The second momentary switch on the front left edge is the mode button. It allows you to select from various modes to allow access by different Gameboy music software. Trash80 is to be credited for making this software open source. If we are able to get funded, we will release the code with our feature upgrades to allow everyone to tinker with and improve on them. 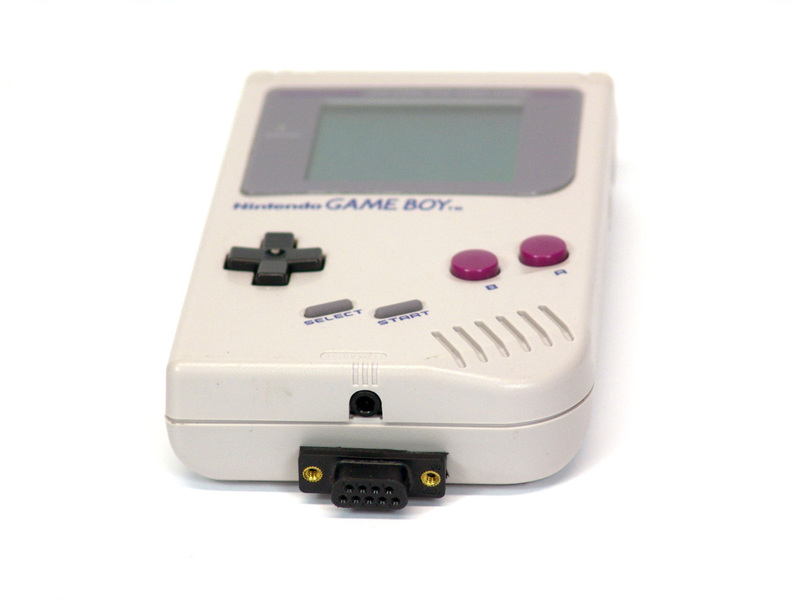 Feeding all the necessary services through the insulated DB9 connector makes using the Gameboy as a sound module a very efficient process and eliminates the need to modify and destroy the stock look of the Gameboy. We fed data I/O, prosound, and Power through and still have an extra pin for expansion. We tested several DB9 connectors and really liked the black polyester one. By using polyester and not the usual metal, you don’t incur extra RF noise from the metal surround. We will release all the pinouts and hope others will use this as a standard. 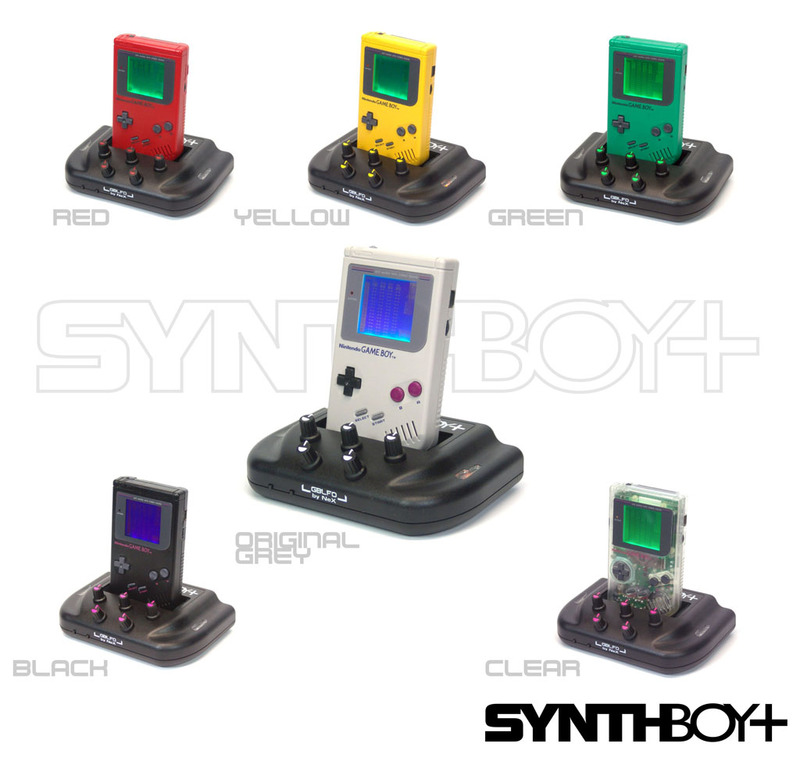 Changing the focus from modding the Gameboy and adding features instead to our SYNTHBOY+ makes sense, so the hard work and effort stays intact and modifying the actual Gameboy becomes a simpler and less invasive process and leaves the classic look. 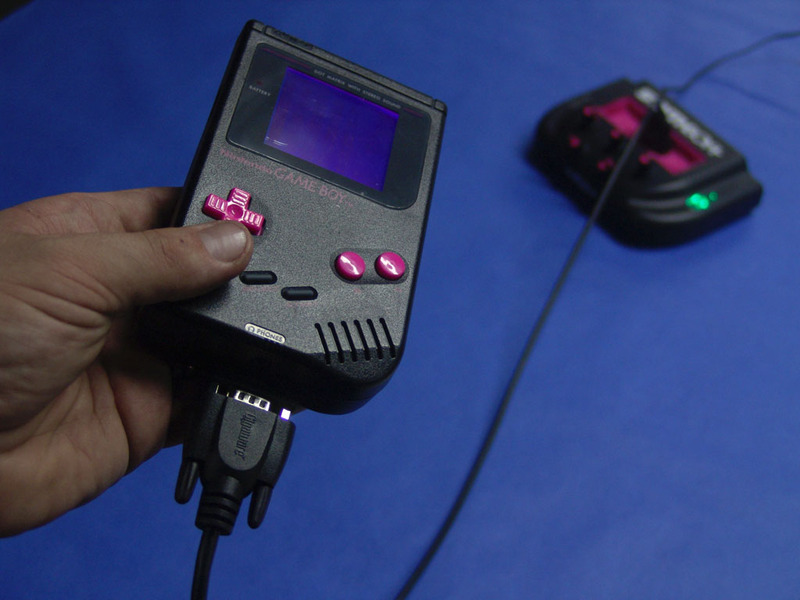 We know some of you are really pushing these older gaming systems to their limits. For you few we have introduced the Sexboy! So you only want the best and will settle for nothing less? Here is a beast of a gameboy. We have replaced the slower standard CPU with a Super Gameboy CPU which is about 10 times faster. What does that extra speed give you? Flawless performance! Pushing this edge was first accomplished by NeX. All the credit goes to him for finding this huge performance gain! The process of switching out the CPU is very difficult and sometimes only after destroying a few can you really get better at it. Expect no ‘stuck notes’ in MIDI modes. 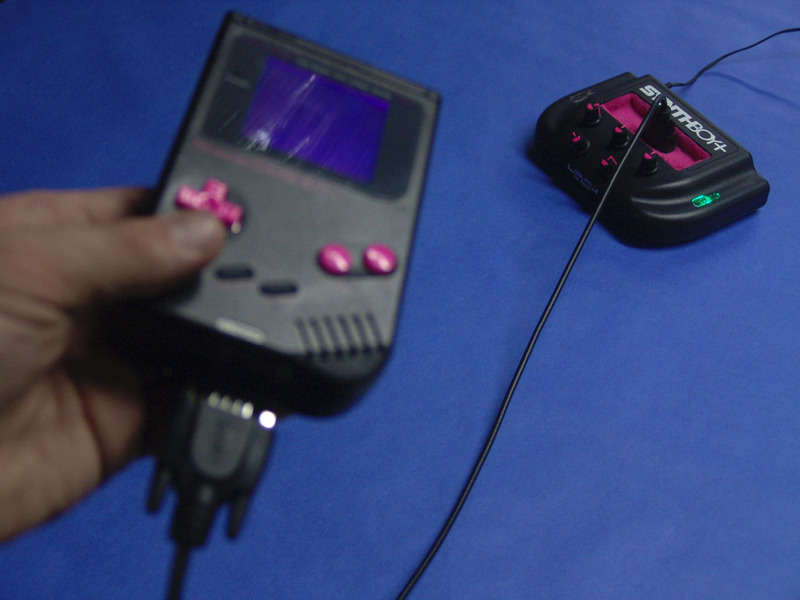 Expect faster load and save times in LSDJ and an overall better, faster approach to making music with the Gameboy. There will be a few features and future upgrades that will require this extra power. 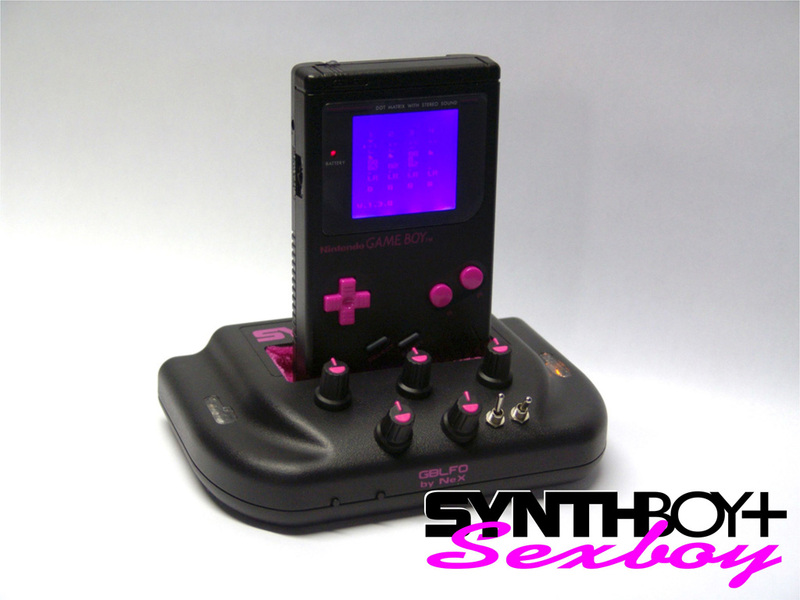 After using a Sexboy, you will not be able to go back to a standard original Gameboy again! The first mod you can have on your SYNTHBOY+ involves a couple of switches that switch each audio channel to either completely in sync to 180 degrees out of sync. 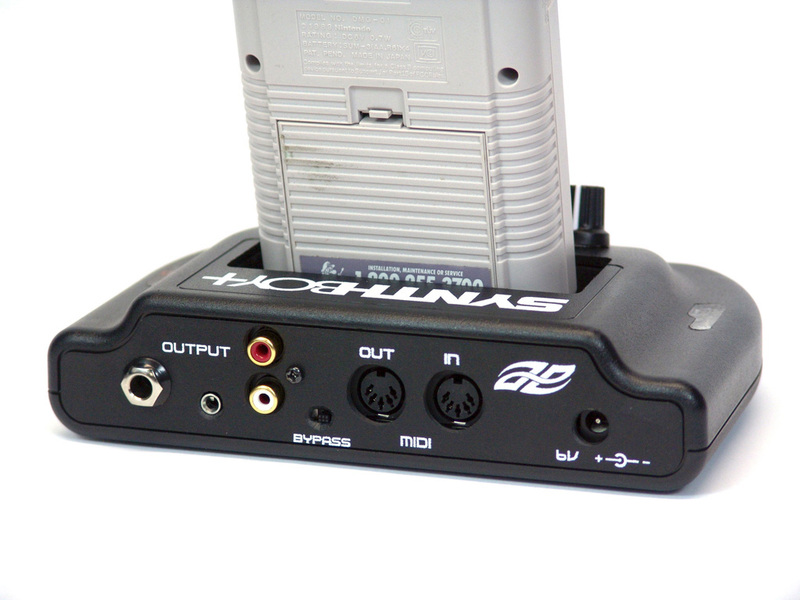 This gives you larger stereo separation of left and right channels. MOD 1 is the first of many mods to come. There just aren’t words for how awesome this is. Please remember if we can get funded we will be adding more features, such as CV/GATE input and possibly another filter. Now that we have more physical space we can do more with more, heck there is even enough room for another Arduino in there!